Nicolas Flamel, the alchemist who created the Philosopher’s Stone, will be in Fantastic Beasts: The Crimes Of Grindelwald. 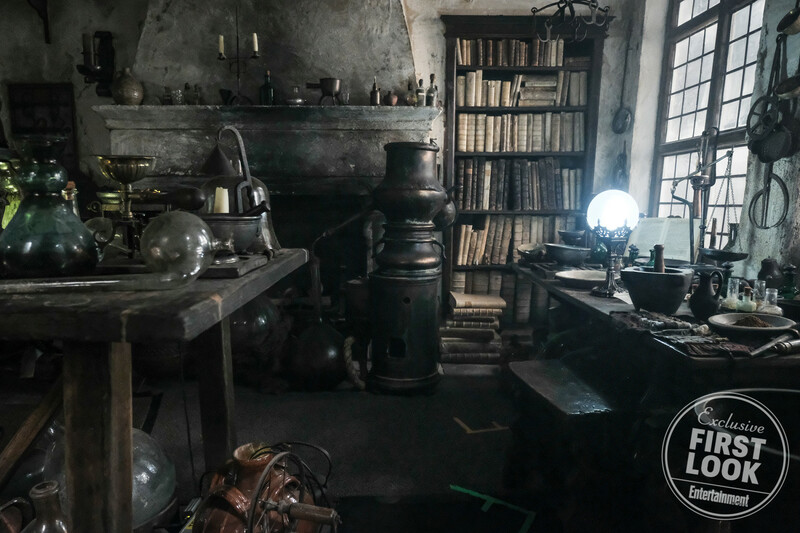 The American magazine Entertainment Weekly revealed some pictures of the interior of the character’s house, in Paris, where Newt Scamander and Jacob Kowalski will meet him. At the movie script, J.K. Rowling wrote that Flamel lived in a street of Montmorency, at the historical region of Paris. 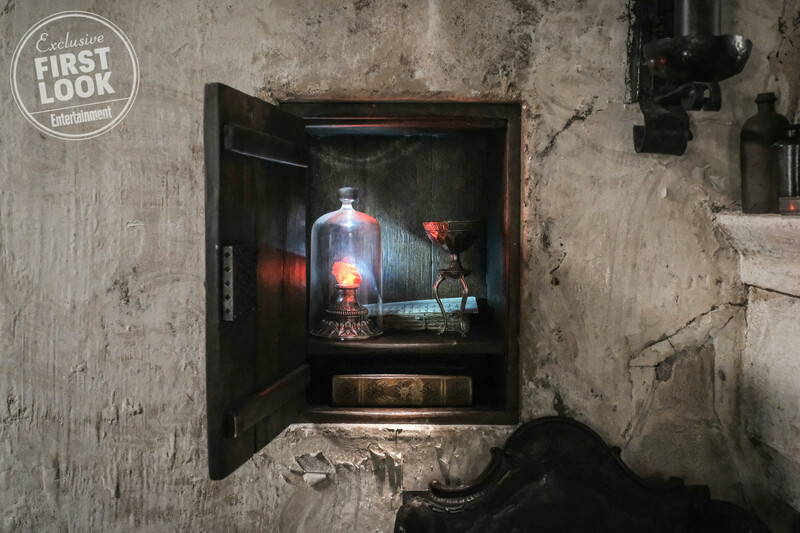 The Alchemist, who lived from the 14th to the 15th century, really lived there. However, his real house didn’t look much like the one that director of arts, Stuart Craig, built on set. 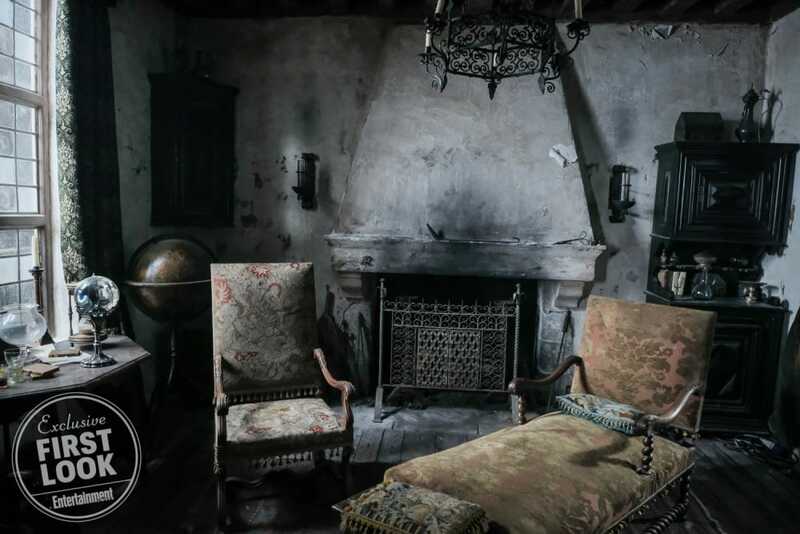 “We created a very old house as if it has been left aside while Paris developed around her”, explains art supervisor, Martin Foley, to POTTERISH during our visit to the set, in England. As the cities grow, traditional buildings are destroyed to give place to big enterprises. However, because of the love for the house, some residents do not accept the expropriation. The building is then kept, but differ from the other constructions. With that in mind, the department of arts built Nicolas Flamel’s residence. To create Nicolas Flamel’s figurine, the costume designer, Colleen Atwood, who won the Oscar for Fantastic Beasts and Where to Find Them, used a handmade fabric, old and simple. “he was in a lab environment so we sorta wanted to go with a more kind of minimal, kind of almost spiritual look for the character, which is based on an under-robe more than an over-robe”, she explains. 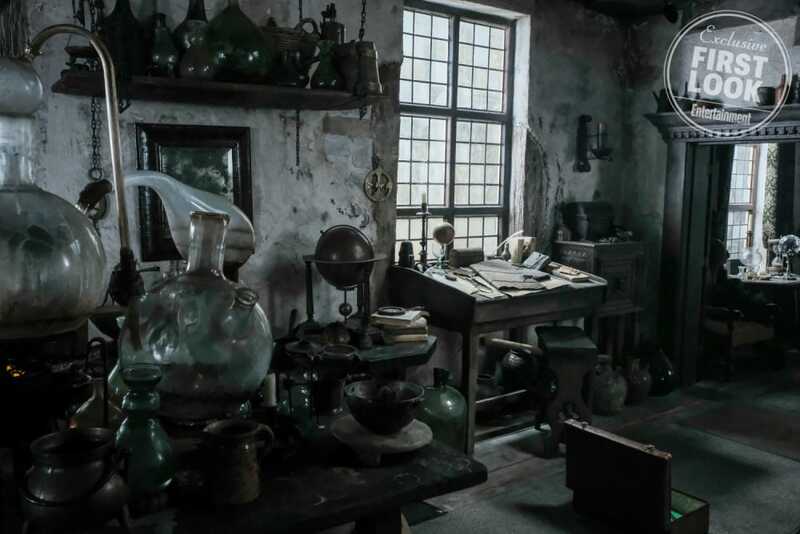 To create the alchemist’s wand, the modeling supervisor Pierre Bohanna kept in mind that the character is really old and have a sharp sense to classic art. 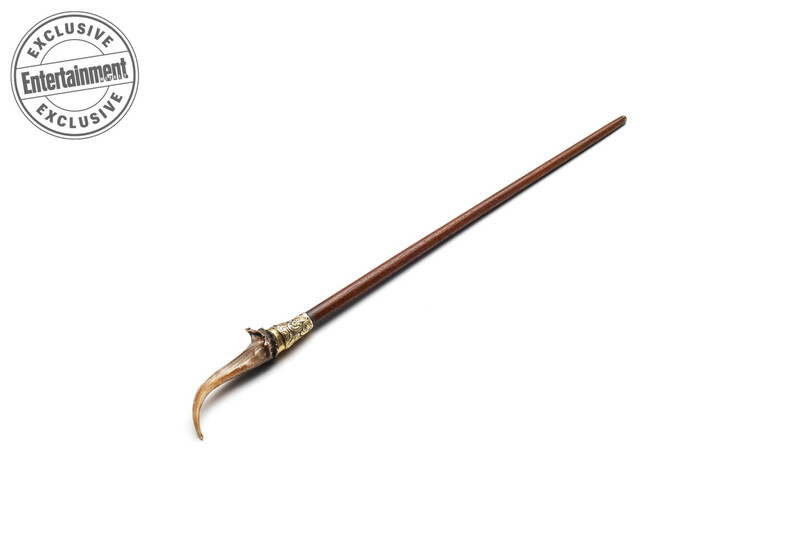 So he used a tortuous horn at the wand’s cable. “Wand design is also the application of an era”, explains him, referring to the art nouveau, a delicate and asymmetric style. Written by J. K. Rowling and directed by David Yates, Fantastic Beasts: The Grindelwald Crimes hits the theaters on November 16, 2018.